IMPORTANT: FREE NEXT DAY DELIVERY is subject to stock availability and couriers delivering on time. 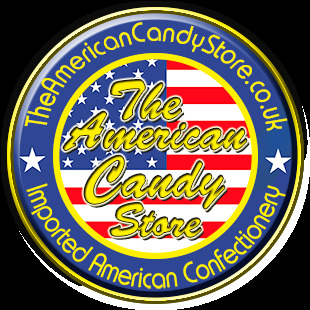 The American Candy Store cannot be held responsible for any delivery service delays (3rd party or company fleet). The American Candy Store reserves the right to over-ride any decision. If you meet the above criteria, then you will not be charged any fee for next day delivery, and during checkout the shipping value will be £0.00. If you’re located within the exclusion Zones, your order will still be shipped for free but it will be shipped using an economy service. Please see the information below to check that your postcode is not in the exclusions zones. IMPORTANT: Please open and fully check the contents of your delivery before signing to confirm receipt. Mistakes cannot be rectified unless noted at the point of accepting your delivery. If your order is placed before 1pm it will be despatched the same day, otherwise it will be despatched the next working day. We do not ship on weekends or bank holidays. 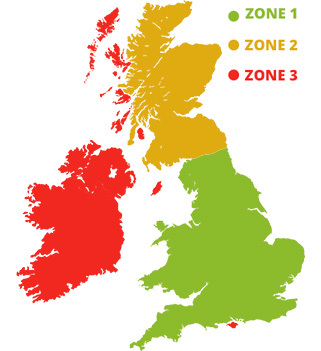 The UK is split into 3 different shipping zones. The shipping prices vary depending on which zone you are in, and are as follows. When your order has been despatched our system will inform you by email and by text message and from that date your order should arrive within 1-5 working days.